Red Chief, originally uploaded by Telzey. We opened the door and he was there -- skinny, dirty, and "talking" up a storm. 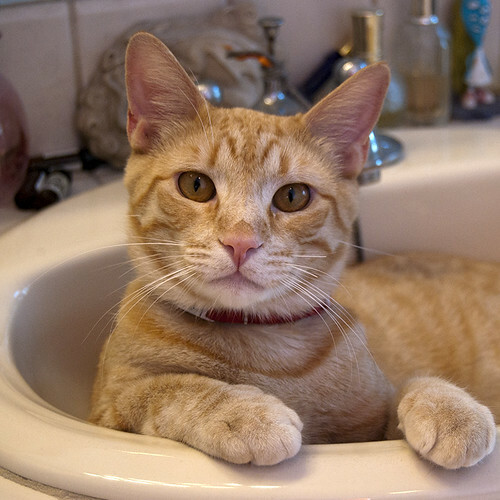 Only about a year old, Red follows me around like a dog and dozes in the sink during the day. Now, if only I could get him to stop biting my toes at night! !